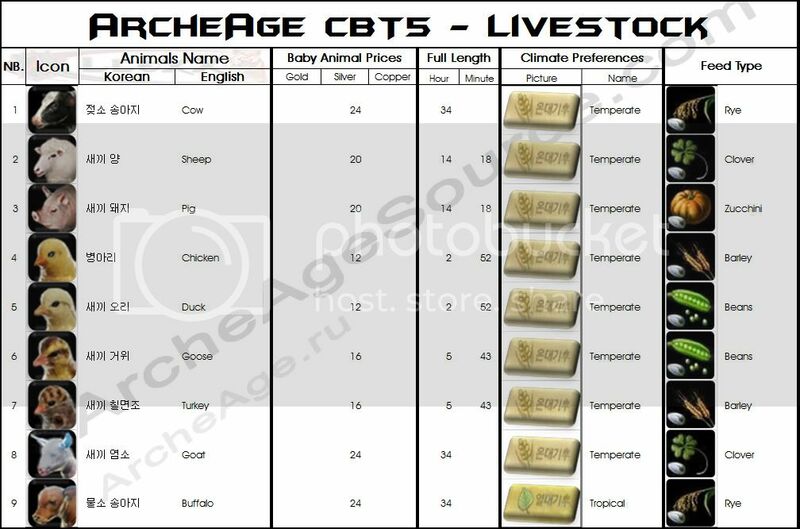 In CBT5 every location had its own, static climate system, which effected the crops and the trees growth. 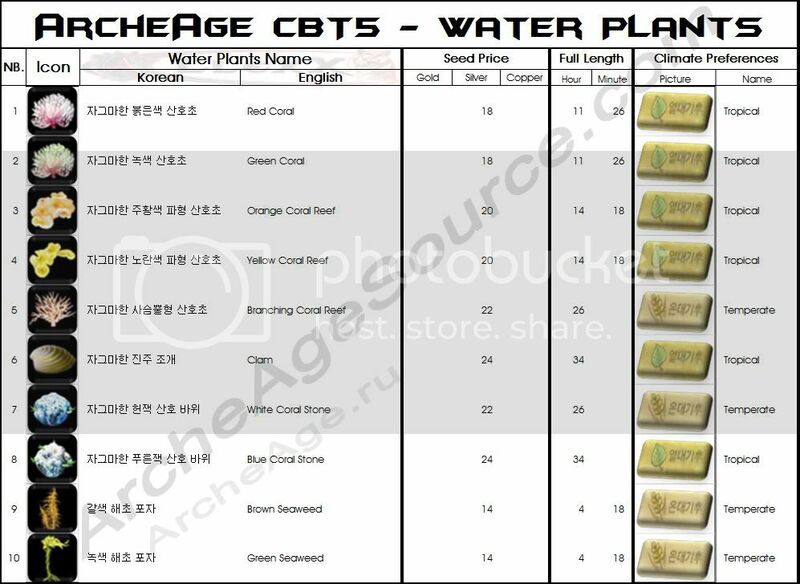 In CBT5, crops and trees had 3 growth phases before they could be harvested, the duration of these phases werent equal (according to Entaro). "Planting" - planting the seed doesnt consume labor point. "Pickup" - any plant could be picked up anytime (consumes 1 labor point), and replanted in another location. "Watering" - after planting crops can be watered, watering the plant basically skipped its first phase of growth, so after the first phase is over you couldnt water it, could be done only once and consumes 1 labor point if done by hand, but if its done with a tractor it wont consume labor point. "Harvesting" - Crops can be harvested, while the trees and bushes have more options, the fruit from them could be collected and also they could be chopped down for the wood, these actions consume from 1-5 labor points depending on the skill level. If someone wants to translate it to other languages, contact me and i can give the source file to save hours of "decoding"
Well made article. Good way to start planning on my overgrown yard. Hope they don't have a neighborhood association were I live. 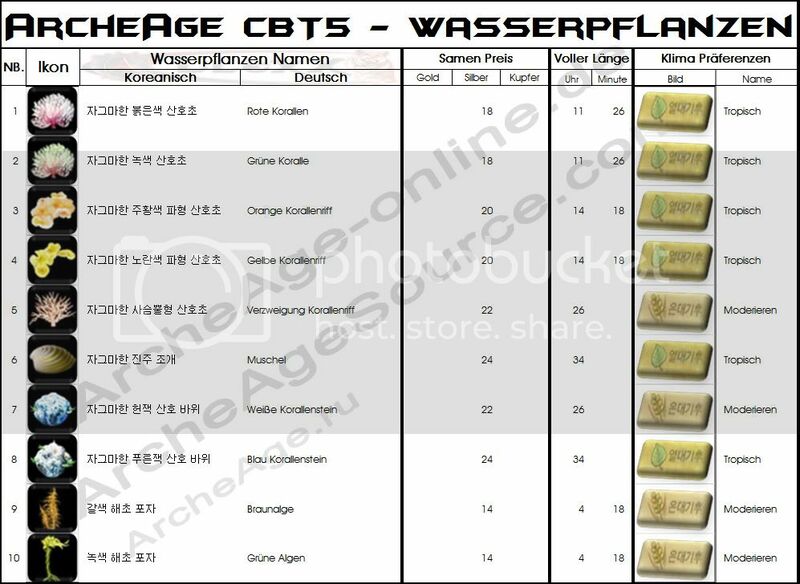 I know that the watermark is the best part , also you can have your own AA.de watermark if you translate it to German, wouldnt it be great? Awesome work, Llexx! Now that I can actually read it I notice a few things that seem odd. In CBT5, crops and trees had 3 growth phases before they could be harvested. The duration of these phases was not equal. Watering the plant basically skipped the first phase of growth, so after the first phase you could not water it. If done with a tractor it takes no labour points to do this. Planting plants takes no labour points, only watering by hand and harvesting. Harvesting can take up to 5 labour points (for the largest tree and low skill level). The times on this chart seem to be pretty off because the largest tree (the pine tree) took over 2 days to fully grow. Also, I didn't see a single damn strawberry get planted in CBT5! Also thanks for the corrections, going to update my post. Added the water plants aka sea weeds. Fixed and updated the crops and trees. Finally im capable to understand those tables! Good translation. Only thing i can see is that sometimes you use plural and sometimes singular words for different materials. Thats not for German only, i have noticed that when translating from Korean and Russian to English, usually the vegetables were translated in plural while the rest not, didnt wanna bother with it, so i just left them like that. LlexX you are the best, really. It's great! Thanks a lot! Strange but I can only view the images for the Crops and Trees. The Livestock, NPC, and other image files are broken. Is there another place I can find this list? 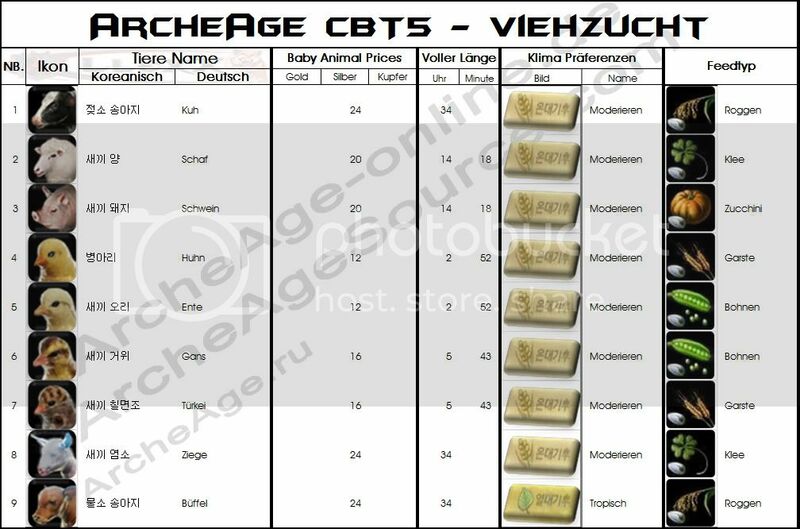 Ok, now about the watermarks on the first three images under the "info" label, I kinda didnt gave a poop about the watermarks and added a white block behind, its still readable tho, and for the shops archeagesource.com was quoted at the bottom.